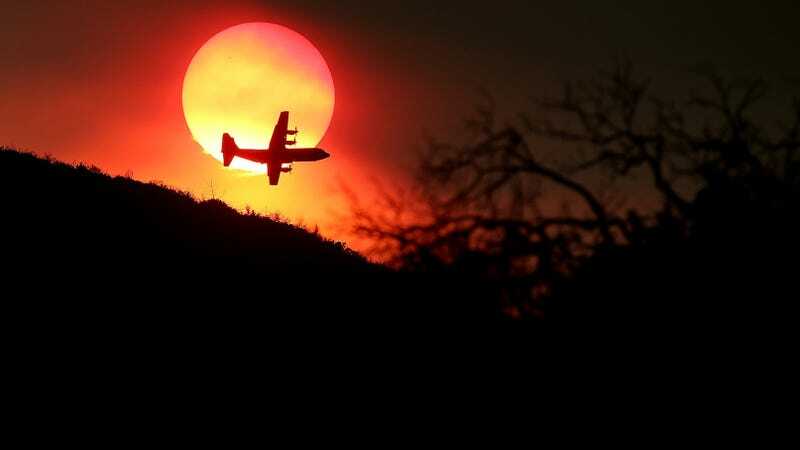 On Friday, California firefighters managed to fully contain the once-69,000-acre Rocky Fire. But 17 other fires still burn, with 13,000 men and women actively involved in fighting them. These photos capture the ongoing intensity. Want to follow along at home? This map from Cal Fire uses live data to plot its ongoing firefighting efforts. It’d almost be a relief to be able to call this year a new record for wildfires, but it’s not, it’s only above average. With the persistent drought and high levels of fuel, it appears as if fire seasons like this one could be the new normal. Governor Jerry Brown stated those factors, “have turned much of the state into a tinderbox.” And declared a state of emergency late last month.